Dialog Semicondcutor recently announced it will be the exclusive supplier of Energous Corp.’s WattUp RF-based wireless charging ICs. As part of the partnership, Dialog will make a $10 million investment in Energous and work to help drive broader adoption of wireless charging in products such as smartphones, IoT devices, wearables, and more. The partnership combines Energous’s uncoupled wireless charging technology and Dialog’s power-saving technologies. WattUp technology uses Dialog’s SmartBond Bluetooth low energy solution as the out-of-band communications channel between the wireless transmitter and receiver. Dialog’s power management technology then distributes power from the WattUp receiver IC to the rest of the device. 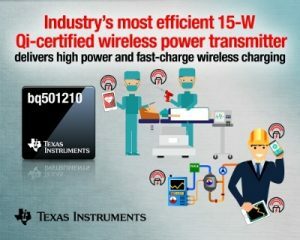 Dialog’s AC/DC Rapid Charge power conversion technology delivers power to the wireless transmitter. 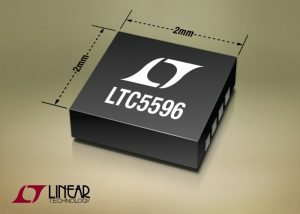 Linear Technology recently introduced the LTC5596, which is a high-frequency, wideband RMS power detector that provides accurate power measurement of RF and microwave signals independent of modulation and waveforms. It responds in an easy-to-use log-linear 29 mV/dB scale to signal levels from –37 to –2 dBm with accuracy better than ±1 dB error over the full operating temperature range and RF frequency range from 200 MHz to an unprecedented 30 GHz. An extraordinarily wide bandwidth enables the detector to work seamlessly across multiple frequency bands using a common design with minimum calibration. Operates from a single 3.3-V supply, drawing a nominal supply current of 30 mA. Two temperature grades: an I grade is designed for operation from –40° to 105°C case. A high-temperature H-grade has rated temperature from –40° to 125°C case. Both temperature versions are available in a 2 mm × 2 mm plastic eight-lead DFN package. The LTC5596 I-grade starts at $12.50 each in 1,000-piece quantities. The H-grade starts at $16.95 each. Both versions are available in production quantities. than meets the eye. In this article, Eddie Insam explains how it all works. So you’ve designed a brand new Ethernet-based device. Perhaps it’s a clock, a weather sensor, or an industrial controller device. You plan to hang it proudly on your wall and connect it to a RJ-45 wall socket. But how are you going to power it? Where will the system get its juice? Surely, you aren’t going to disgrace your design with a brick wart. There must be a better way! Why not feed power over the CAT-5 cable? Well, you’re not the first person to consider this technique. 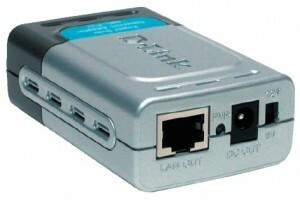 Photo 1: The D-Link DWL-P50 is a ready-togo module. Ethernet in, Ethernet out, and a choice between 12- and 5-VDC outputs. Standard CAT-5 cable has four pairs, and only two are used for data in a typical 10- or 100-Mbps installation (see Figure 1a). So, it sounds obvious to stick a few DC volts down the spare pairs. Oh, yes. But hang on, life is never so simple. This is technology, remember? There has to be a catch somewhere. So, sit down and relax, I have the story. Figure 1: Standard 10- and 100-Mbps Ethernet devices use just two of the four available pairs. The spare wires can be used to transmit power to the remote. Two possible methods are shown (b and c). But watch out! The power source must be smart enough to detect shorts and overloads and to avoid damaging components at the far end. It may not come as a surprise that the wise men at the IEEE thought about this for a while and came up with a standard (IEEE 802.3af). This standard has been around since 1999, but progress has been relatively slow. It started to take off only recently, mainly because of the availability of inexpensive specialist components. Tom Cantrell and Jeff Bachiochi have covered some of the available components and modules (Circuit Cellar 165 and 187). 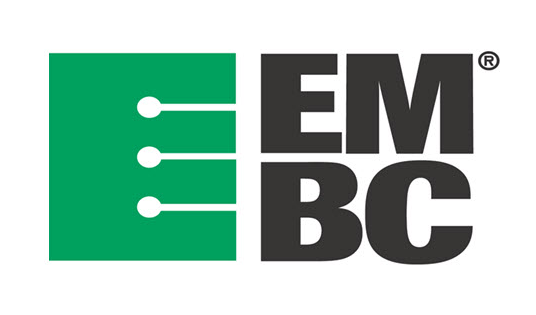 A wide range of parts are now available, including dedicated switching transistors, isolation transformers, and high-quality nonsaturating magnetics, making power over Ethernet (PoE) a practical proposition. The IEEE document covers two main methods for sending power down the CAT-5 wire. One involves using the spare pairs. The other involves sharing with the existing data lines using center-tapped transformers (see Figures 1b and 1c). The latter method is beneficial when spare cable capacity isn’t available. 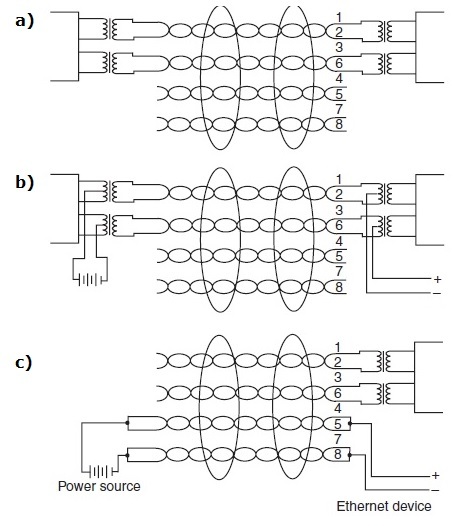 The method involving spare pins allows a decent amount of current to be drawn because the two spare pairs are paralleled together to increase capacity by reducing the total DC resistance. The present IEEE specifications allow up to 13 W of power to be transferred this way. This may not be enough for some heavy-duty devices, but it’s quite acceptable for medium-size and small items such as TV cameras and VoIP phones. An updated PoePlus standard is currently being considered. This will allow for up to 30-W capacity, while still remaining backwards compatible. 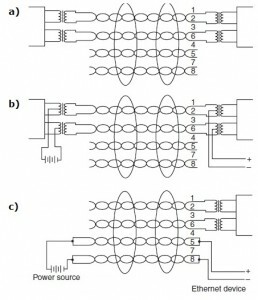 Transmitting power with center-tapped transformers is more limited. Pulse transformers and other magnetics in the Ethernet controller must be designed to take the full DC power load current without saturating. That isn’t an easy task for miniature surface-mounted components. The advantage of this alternative is that it leaves the extra pairs alone, an essential consideration in higher-speed gigabit Ethernet, which requires all four pairs to carry data. Why can’t you just stick any old power supply across the spare wires? Because you don’t know what’s at the remote end, and you may run the risk of blowing up sensitive equipment. 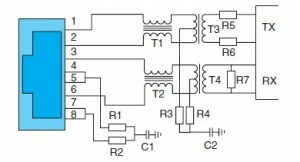 If you don’t believe me, take a look at Figure 2, which is a typical Ethernet terminator. This kind of circuitry is sometimes contained within a single metal enclosure called a MagJack. Figure 2: This is a typical Ethernet termination. The resistors strapped to the spare data pins and center taps are there to balance the line and to reduce noise. They can quickly flash to smithereens in true Harry Potter style if any unmanaged DC power is placed on the cable. Note the two 50-W resistors R3 and R4 across the center taps of transformers T3 and T4. They are branched in series to form an effective 150-W DC load across the input lines. Also note the two 50-W resistors R1 and R2 right across pins 7 and 8 and 4 and 5. These present a controlled impedance load to the otherwise non-terminated wires. They are there for robustness and noise reduction. This hookup is sometimes known as a Bob Smith termination. If you connect a 48-VDC raw supply into such a socket, you will be driving a good third of an amp through these tiny resistors. This is guaranteed to vaporize them to kingdom come. Tiny SMD resistors are not built for such treatment. The need for a bevy of equipment for building and testing presents a problem: how to deliver an adequate power supply while keeping workbench clutter to a minimum. Brian decided to tackle this classic engineering conundrum with a small, low-capacity quad bench power supply. To the right of the output Johnson posts are the switches that set the polarity of the floating supplies—as well as the switch that disconnects all power supply outputs—while leaving the unit still powered up. I hate to admit it, but my electronics bench is not a pretty sight, at least in the midst of a project anyway. Of course, I’m always in the middle of some project that, more often than not, contains two or three different projects in various stages of completion. To make matters worse, most of my projects involve microchips, which have to be programmed. Because I use ISP flash memory MCUs exclusively, it makes sense to locate a computer on my construction bench to facilitate programming and testing. To save space, I initially used my laptop’s parallel port for MCU programming. It was only a matter of time before I popped the laptop’s printer port by connecting it to a prototype circuit with errors on it. Fixing my laptop’s printer port would have involved replacing its main board, which is an expensive proposition. Therefore, I switched over to a desktop computer (with a $20 ISA printer port board) for programming and testing purposes. The desktop, however, took up much more room on my bench. 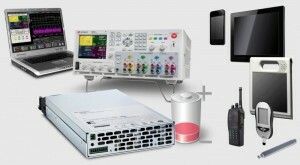 You can’t do without lots of testing equipment, all of which takes up more bench space. Amongst my test equipment, I have several bench power supplies, which are unfortunately large because I built them with surplus power supply assemblies taken from older, unused equipment. This seemed like a good candidate for miniaturization. 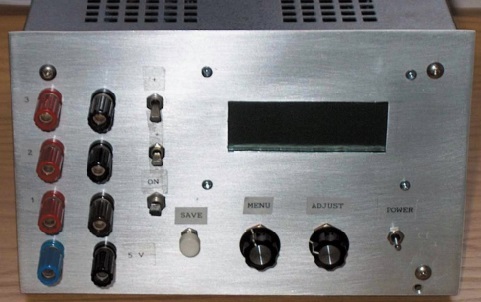 At about the same time, I read a fine article by Robert Lacoste describing a high-power tracking lab power supply (“A Tracking Lab Power Supply,” Circuit Cellar 139). Although I liked many of Robert’s clever design ideas, most of my recent projects seemed to need only modest amounts of power. Therefore, I decided to design my own low-capacity bench supply that would be compact enough to fit in a small case. In this article, I’ll describe that power supply. Even though I mentioned that my recent project’s power demands were fairly modest, I frequently needed three or more discrete voltage levels. This meant lugging out a couple of different bench supplies and wiring all of them to the circuit I was building. If the circuit required all of the power supplies to cycle on and off simultaneously, the above arrangement was extremely inconvenient. In any event, it took up too much space on my bench. I decided that I wanted to have four discrete voltage sources available. One power supply would be ground referenced. Two additional power supplies would be floating power supplies. Each of these would have the provision to switch either the positive or negative terminal to the negative (ground) terminal of the ground-referenced supply, allowing for positive or negative output voltage. Alternately, these supplies could be left floating with respect to ground by leaving the aforementioned switch in the center position. This arrangement allows for one positive and two positive, negative or floating voltage outputs. To round off the complement, I added Condor’s commercial 5-V, 3-A linear power supply module, which I had on hand in my junk box. Table 1 shows the capabilities of the four power supplies. I wanted to provide the metering of voltage and current for the three variable power supplies. 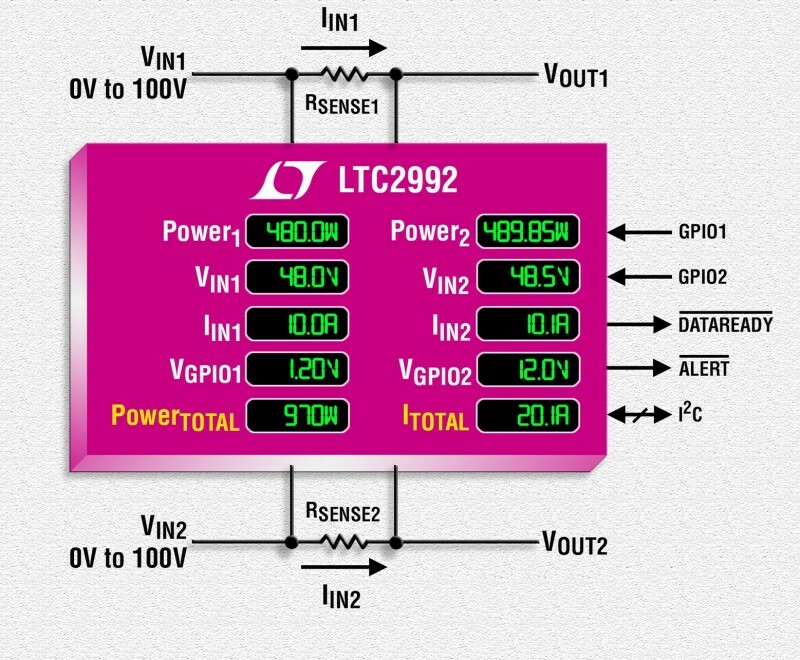 The simultaneous voltage and current measurement of three completely independent power supplies seemed to indicate the need for six digital panel meters. Indeed, this is the path that Robert Lacoste used in his tracking lab supply. As you can see, there are four power supplies. I’ve included all of the information you need to understand their capabilities. I had used many of these DPM modules before, so I was aware of the fact that the modules require their negative measurement terminal to float with respect to the DPM’s own power supply. I solved this problem in the past by providing the DPM module with its own independent power source. Robert solved it by designing a differential drive circuit for the DPM. Either solution, when multiplied by six, is not trivial. Add to this the fact that high-quality DPMs cost about $40 in Canada, and you’ll see why I started to consider a different solution. I decided to incorporate an MCU into the design to replace the six DPMs as well as six 10-turn potentiometers, which are also becoming expensive. In place of $240 worth of DPMs, I used three inexpensive dual 12-bit ADCs, an MCU, and an inexpensive LCD panel. The $100 worth of 10-turn potentiometers was replaced with three dual digital potentiometers and two inexpensive rotary encoders. Using a microcontroller-based circuit basically allows you to control the bench supply with a computer for free. I have to admit that I decided to add the commercial 5-V supply module at the last minute; therefore, I didn’t allow for the voltage or current monitoring of this particular supply. 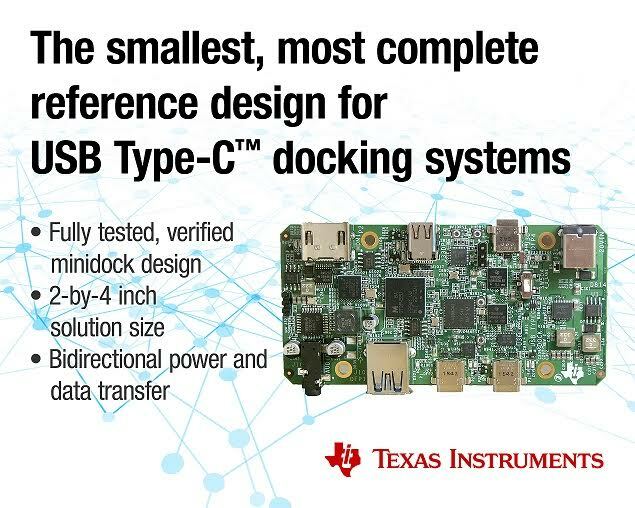 Although there certainly is a digital component to this project, the basic power supply core is a standard analog series-pass regulator design. I borrowed a bit of this design from Robert’s lab supply circuit. Basically, all three power supplies share the same design. The ground-referenced power supply provides less voltage and more current than the floating supplies. Thus, it uses a different transformer than the two floating supplies. The ground-referenced supply’s digital circuitry (for control of the digital potentiometer and ADC) can be connected directly to the MCU port lines. The two floating supplies, in addition to the different power transformer, also need isolation circuitry to connect to the MCU. The ground-referenced power supply includes an independent 5-V supply to run the microcontroller module. As with every other project I’ve worked on in the last two years, I chose the Atmel AVR family for the MCU. In this case, I went with the AT90S8535 for a couple of reasons. I needed 23 I/O lines to handle the three SPI channels, LCD, rotary encoders, and RS-232. This ruled out the use of smaller AVR devices. I could’ve used the slightly less expensive AT90LS8515, but I wanted to allow for the possibility of adding a temperature-sensing meter/alarm option to the circuit. 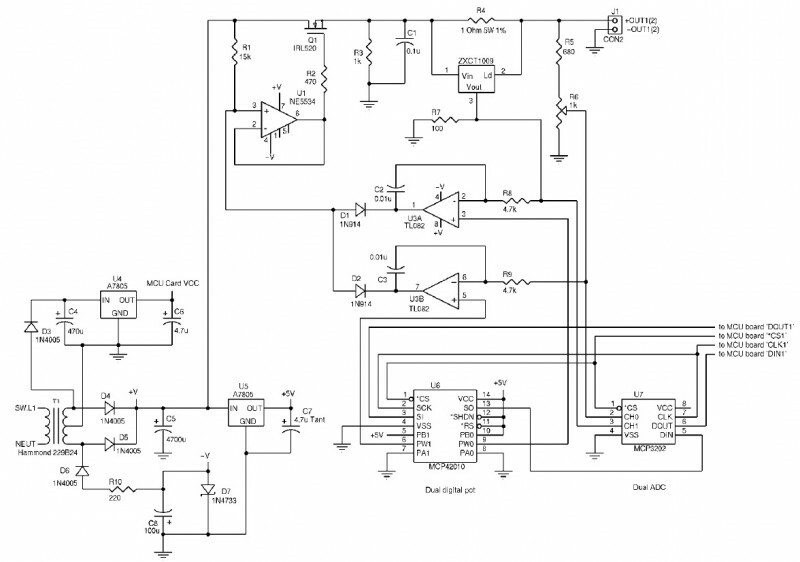 The ’8535 has a 10-bit ADC function that’s suitable for this purpose; the ’8515 does not. The ’8535 MCU has 8 KB of ISP flash memory, which is just about right for the necessary firmware. It also contains 512 bytes of EEPROM. I used a small amount of the EEPROM to store default values for the three programmable power supplies. That is to say, the power supply will power up with the same settings that existed at the time its Save Configuration push button was last pressed. eded to operate the three SPI channels and interface the two rotary encoders come out through the 30-pin bus. As you now know, I designed the ground-referenced power supply PCB to include space to mount the SIMM100 module, as well as the IsoLoop isolators. The SIMM100 mounts at right angles to this PCB; it’s hard-wired in place using 90° header pins. The floating power supplies share a virtually identical PCB layout apart from being smaller because of the lack of traces and circuitry associated with the SIMM100 bus and IsoLoop isolators. The SIMM100 module has headers for the ISP programming cable and RS-232 port. I used its ADC header to run the LCD by reassigning six of the ADC port pins to general I/O pins. When I buy in bulk, it’s inevitable that by the time I use the last item in my stock, something better has taken its place. After contacting Lawicel to request a .jpg image of the SIMM100 for this article, I was introduced to the new line of AVR modules that the company is developing. Rather than a SimmStick-based module, the new modules are 24- and 40-pin DIP modules that are meant to replace Basic Stamps. Instead of using PIC chips/serial EEPROM and a Basic Interpreter, they implement the most powerful members of Atmel’s AVR family—the Mega chips. The user interface I settled on consisted of a common 4 × 20 LCD panel along with two rotary encoders. One encoder is used to scroll through the various power supply parameters, and the other adjusts the selected parameter. The cost of LCDs and rotary encoders is reasonable these days. Being able to eliminate the substantial cost of six DPMs and six 10-turn potentiometers was the main reason for choosing an MCU-based design in the first place. Brian Millier’s article first appeared in Circuit Cellar 149. 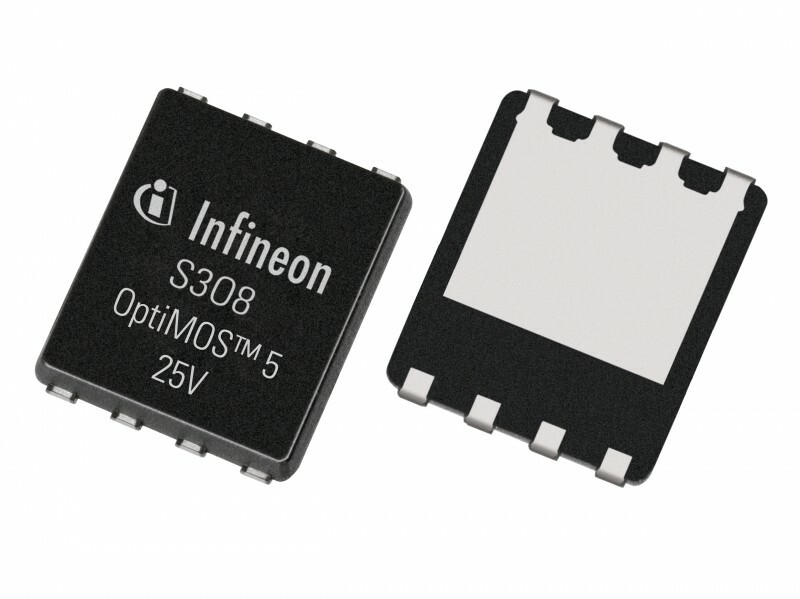 Infineon Technologies recently launched the OptiMOS 5 25- and 30-V product family, the next generation of Power MOSFETs in standard discrete packages, a new class of power stages named Power Block, and in an integrated power stage, DrMOS 5×5. Together with Infineon’s driver and digital controller products the company delivers full system solutions for applications such as server, client, datacom or telecom. 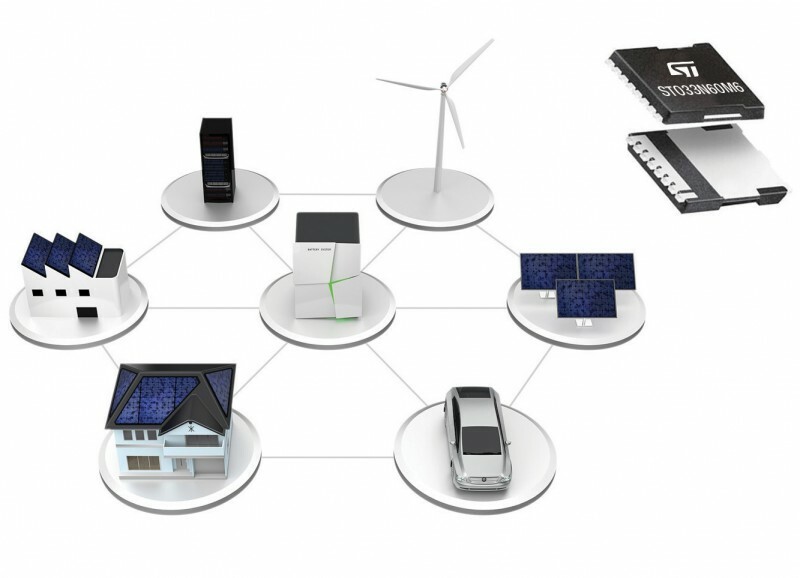 The newly introduced OptiMOS family offers benchmark solutions with efficiency improvements of around 1% across the whole load range compared to its previous generation, exceeding 95% peak efficiency in a typical server voltage regulator design. This improved performance is based for example on the reduction of switching losses (Q switch) by 50% compared to the previous OptiMOS technology. Thus, implementing the new OptiMOS 25 V would lead to energy savings of 26.3 kWh per year for a single 130-W server CPU working 365 days. The launch of the OptiMOS product family is accompanied by the introduction of a new packaging technology offering a further reduction in PCB area consumption. It is used in the Power Block product family and in the integrated powerstage DrMOS 5×5 and offers a source down low-side MOSFET for improved thermal performance, with a reduction by 50% of the thermal resistance in comparison to standard package solution, such as SuperSO8. Infineon`s Power Block is a leadless SMD package comprising the low-side and high-side MOSFET of a synchronous DC/DC converter into a 5.0 × 6.0 mm 2 package outline. With Power Block, customers can shrink their designs up to 85 percent by replacing two separate discrete packages, such as SuperSO8 or SO-8. 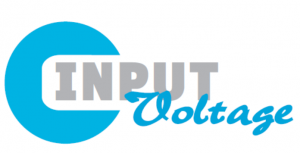 Both, the small package outline and the interconnection of the two MOSFETs within the package minimize the loop inductance for best system performance. OptiMOS 5 25V is also used in an integrated power stage, combining DrMOS 5×5, driver and two MOSFETs, for a total area consumption on the PCB equal to 25mm². 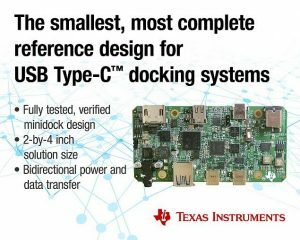 The integrated driver plus MOSFETs solution results in a shorter design time and is easy to design-in. Additionally, the dovetailed power stage includes a high accurate temperature sense of +/-5°C (compared to +/-10°C of an external one) which enables higher system reliability and performance. Samples of the new OptiMOS 25- and 30-V devices in SuperSO8, S3O8 and Power Block packages, with on-state resistances from 0.9 mΩ to 3.3 mΩ are available. Additional products with monolithic integrated Schottky-like diode and products in 30 V will be available from Q2 2015 onwards. DrMOS 5×5 will be released in Q2 2015. Samples are available.